Contracting with a company that can implement your solar energy project from feasibility to completion is key to maximizing and projecting a true return on your investment. Solar system implementation is also critical to maximizing your return. This requires a cohesive approach for achieving financial benefits and system performance. All phases must be coordinated with the various disciplines involved throughout every phase in order to deploy the highest quality system. Our financial team will assess you current energy usage and long-term goals, business drivers and tax implications to prepare a business case for your internal review. Our Professional Engineering and Electrical Engineering teams will determine service voltage, utility interconnection points, estimated production, property topography and structural analysis, all factors that impact the type of solar system that is specifically right for you. All of our systems are custom designed to specific site conditions. Our in-house professional engineers are expertly trained and experienced in all facets of construction and solar technology. 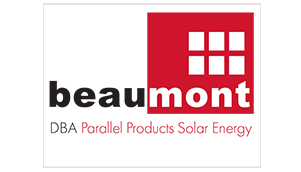 Beaumont Solar evaluates and tests the functionality and stability of inverters, modules and balance of system components. We utilize the best technology to design systems that consistently perform above projected outputs and withstand all weather conditions. All PE stamped structural and electrical design packages are presented for local building permits, Department of Environmental Protection post-closure and environmental permitting when applicable, and interconnection approval with local utilities. Beaumont Solar has long standing, direct purchasing relationships with all of our suppliers who meet or exceed Beaumont Solar company standards and who offer best in class technology and warranties as evaluated by our product management teams. Our engineering and design teams provide cross-functional support and work in close collaboration with our project and construction site managers to ensure all systems are being installed to the exact specifications designed for performance longevity and achieving calculated production outputs. Protecting the value of your investment through system monitoring in real-time, panel cleaning, filter changing, torque checks, IR scanning.